VARIETY : 100% Verdicchio from our vineyard in Matelica. TASTING NOTE : Water white with an intense yet delicate perfume. Reminiscent of our vineyard with candied fruit and a hint of bitter almond. Dry yet exceptionally smooth. 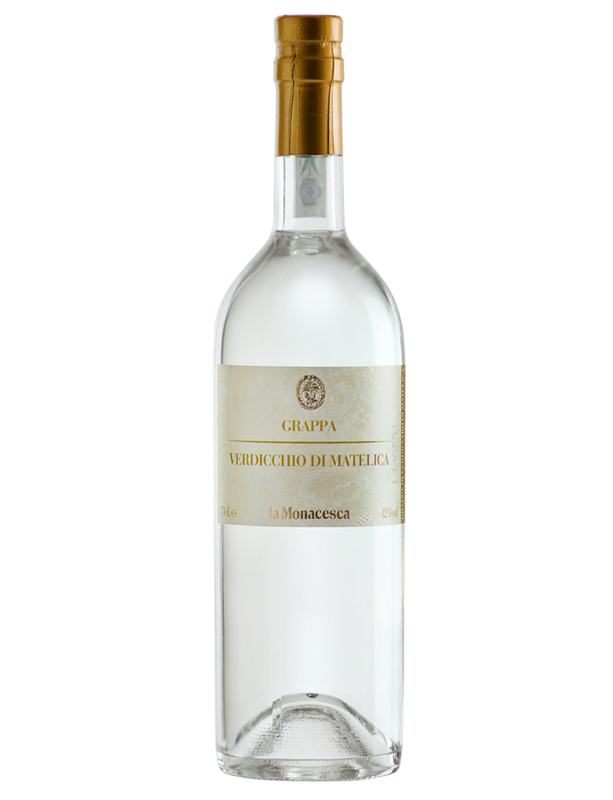 FOOD MATCHING : In addition to the classic chocolate Nicaragua 70%, the characteristics of this grappa make it the perfect match for strongly flavoured cheeses. The careful distillation gives it the spiciness necessary to balance blue cheeses, especially those from sheep and goats’ milk.